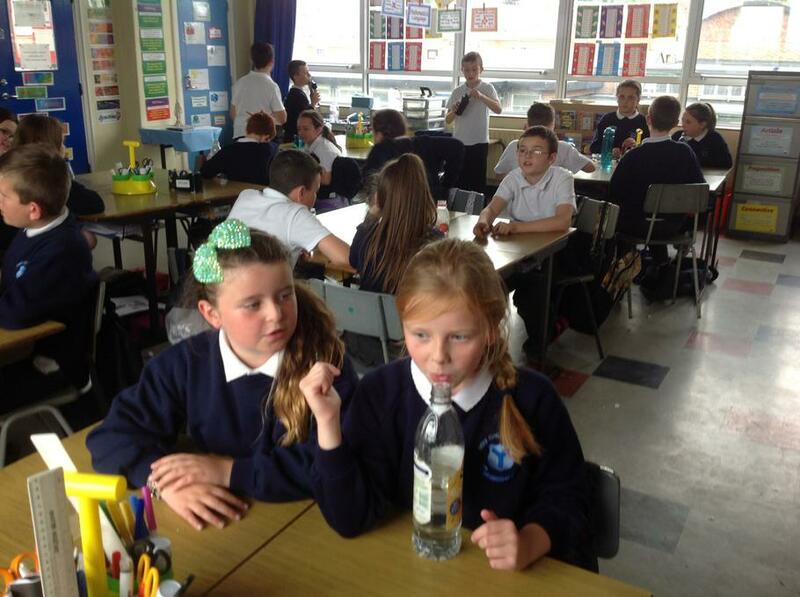 Welcome to our new school year in P7C. 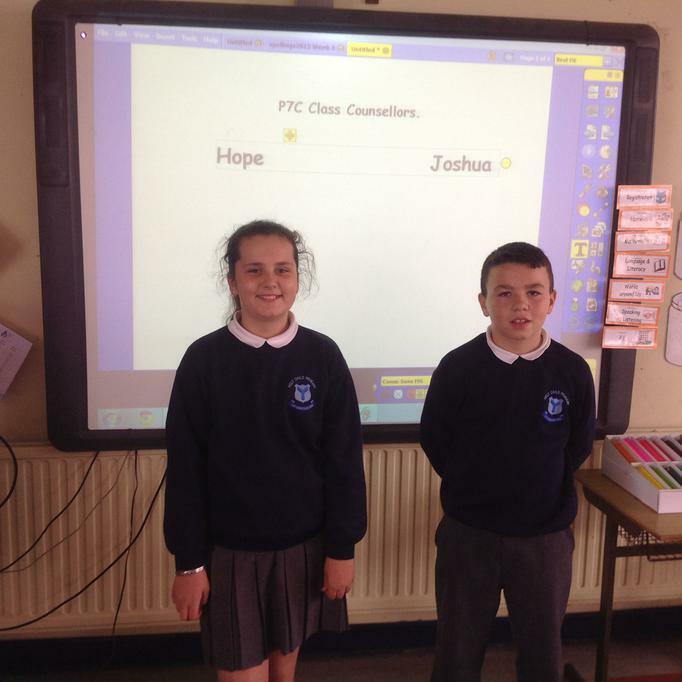 Well done to our new class councillors. Hope Crawford and Joshua Miskimmin. Bun Sale in P7 raises £539.78. Many thanks to all parents and bakers. Fantastic effort by all. well done. pupils of the month for February. 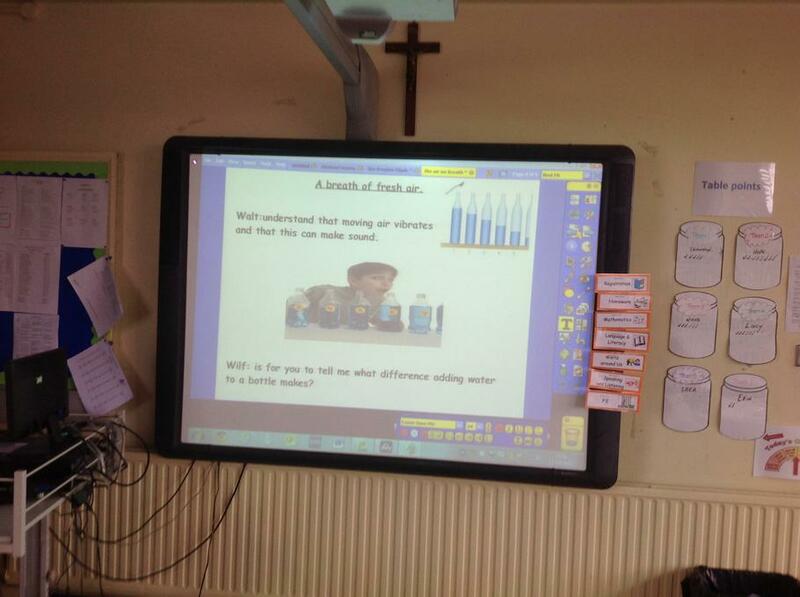 This term we have been looking at the Victorians and how they lived. Congratulations to the boys and girls from P7C who have reached the Ulster Finals in Gaelic Football. Fantastic achievement. Also well done to the soccer players in the class who this year have won the NI Futsal tournament and are in to the regional finals. They have also reached the Semi- Final of the Cyril Murray cup and the P7 Cup. They also came runners up in the Belfast 5-a-side competition. Well done to all involved. As a teacher and soccer coach I am very proud of their success. This year in World Around Us we are studying "The air we breath." 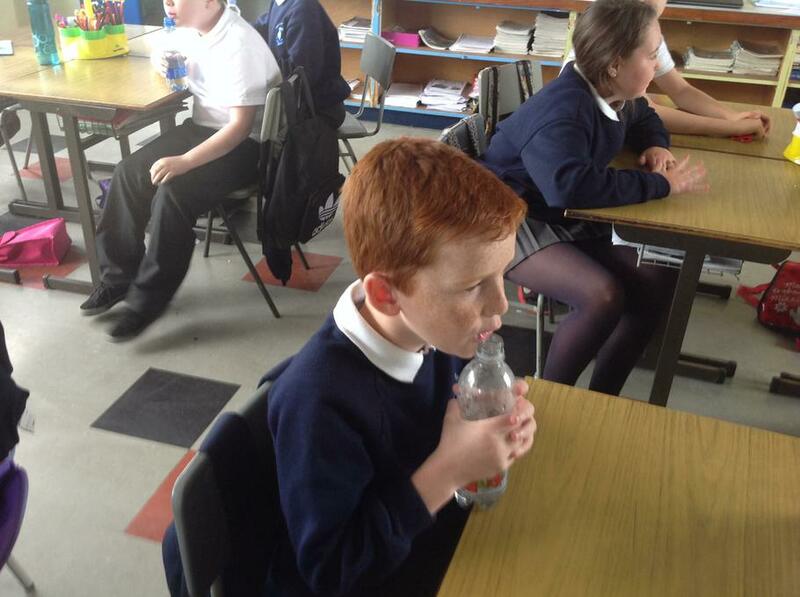 We are experimenting to see how air vibrates around a bottle. When we put 100ml of water into the bottle the pitch or sound becomes higher. 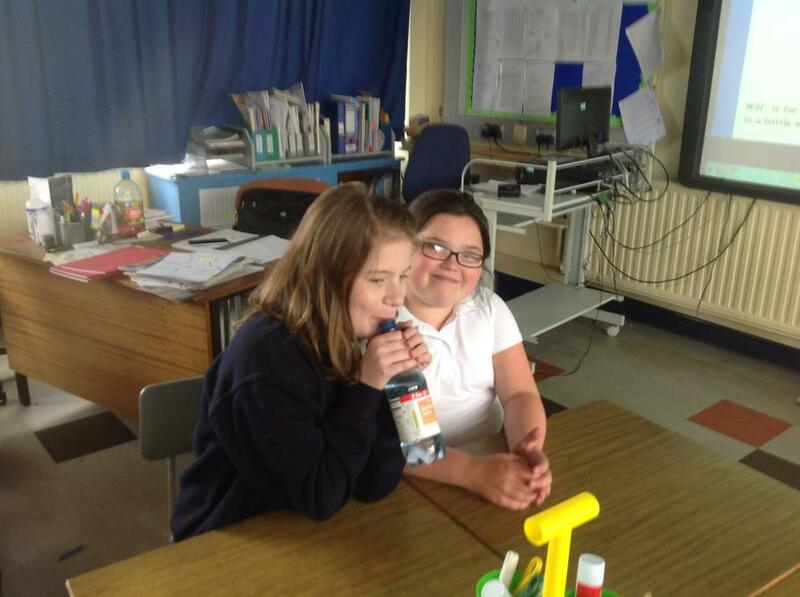 The class had great fun changing the sound coming from the bottle.